Nutrition consultations are available at Monmouth Pain & Rehabilitation in the Monmouth and Ocean County area. 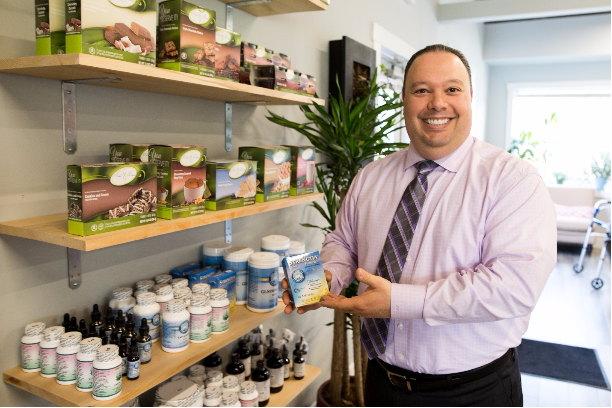 Dr. Frank Fuscaldo, Jr., Certified Nutrition Specialist (C.N.S. ), works with patients to get to optimal nutrition, which can help alleviate a wide variety of health issues. Whether your goal is to lose weight, manage existing health issues, or to just optimize your current health status, Monmouth Pain & Rehabilitation can create a customized plan for you. Take the guesswork out of your diet plan by using a blood test to identify your specific nutritional needs. We focus on underlying nutritional health issues. The purpose of meeting with a certified nutritionist in our Wall Township, NJ office is to identify on a scientific level what needs to change within your body. This includes determining the nutrients that it needs to heal and keep all systems running optimally, and identifying and reducing exposures to toxic elements, environmental chemicals, heavy metals and other stressors that can interfere with repair and cause nutrient depletion. It is not always obvious that inadequate nutrition is causing problems, but poor nutrition can be a major factor behind chronic health issues. Dr. Frank’s nutrition program in Wall Township, NJ can get you on the path to a healthier and more balanced life. If you knew you could improve your health, wouldn’t you want to? To make an appointment for a nutrition consultation, call 732-365-0301 or fill out the form on the right side of this page. 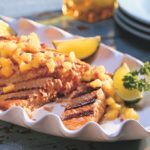 Check out some of Dr. Frank’s favorite nutritious recipes – more to come! Often when people think of nutritionists, they think of someone who is there to help you lose weight. Although weight loss can be one benefit to seeing a nutritionist, there is much more to it. So many people fail to achieve their health & wellness goals because they don’t have the information or tools necessary to be successful. That is why Monmouth Pain and Rehabilitation is excited and proud to begin offering our patients a chance to manage their health and get results with the help of a certified nutritionist, and a nutrition plan custom-designed specifically for you. Just one of our options is to participate in the ClearVite Detoxification Program from Apex Energetics (more information below). What can you expect from our nutrition program and testing? Our Board Certified Nutritionist is different from other health professionals. Our testing is completely scientific and individual to each patient, which means we can give objective analysis and personalized recommendations. We see concrete results improving our patients’ overall health. The natural solutions in our nutrition program are based on scientific and objective testing including blood, urine and hair. The Science Based Nutrition™ report provides individual, drug-free recommendations to promote optimum health based on imbalances and dysfunction identified from the test results. 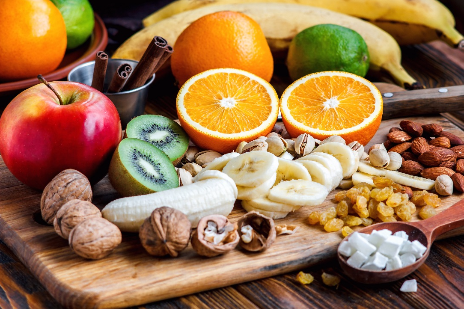 The nutritionist will present a complete list of the nutrients, vitamins, dietary requirements and other lifestyle changes necessary to start your journey back to health. After analyzing the results of the initial test, it will also be determined if further specialized tests are necessary. The Science Based Nutrition™ report at Monmouth Pain & Rehabilitation allows for an in-depth analysis of your total system. Problem areas are identified and carefully documented with major and minor conditions that may lead to serious illness. When assessing your health based on symptoms alone, and seeking treatment only when something feels wrong, you may be missing some major red flags. Some illnesses, disorders, or other issues can begin to get out of hand before any symptoms arise. It is possible for the liver, kidney, and pancreas to shut down to only 20% functionality without the affected individual having any idea. Signs of illness can be present in the blood before symptoms show up, which is why it is important to be tested. Nutrition patients at Monmouth Pain & Rehabilitation will then be tested once a year to continue this practice of preventative medicine. The Science Based Nutrition™ plan at Monmouth Pain & Rehabilitation in Wall Township, NJ caters to each individual patient’s specific health concerns. Our nutritionist is now serving the Wall Township, NJ area including: Belmar, Manasquan, Brick, Toms River, Point Pleasant, Neptune, Asbury Park, Howell, Farmingdale, and more in Monmouth & Ocean Counties. The ClearVite Detoxification Program is a 21-day nutritional and detoxification support program. The program is simple to follow and uses a specific dietary plan with specific instructions, guidelines on what foods to eat and what to avoid, along with one of several ClearVite formulas. 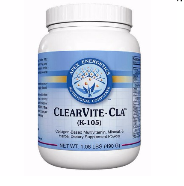 The ClearVite product is a multivitamin, mineral and herbal dietary supplement powder. There are several ClearVite formulas based on the patient’s needs and/or flavor preferences. However, all ClearVite options contain key nutrients and cofactors that have been shown to be necessary to support the detoxification reactions and process. These include important vitamins, minerals, amino acids and phytonutrients that help support blood sugar metabolism, as well as gastrointestinal health; digestive enzymes to support nutrient digestion and absorption; antioxidants to support the liver; key botanical extracts to support bile formation, secretion, and elimination; lipotropic nutrients to support the breakdown and utilization of fat; and additional nutritional compounds to help with energy levels. The program is 21 days long, and first-time users should adhere to this guideline. However, the program can be easily modified to a 14-day program to suit the patient’s needs and/or healthcare goals. For patients who require additional detoxification support, additional dietary supplements may be included to maximize the detoxification program. This product is very affordable and can be purchased at our office. In fact, to perform the basic ClearVite detoxification program, you will only need to purchase on container of the ClearVite multivitamin, mineral, and herbal dietary supplement powder. Most patients will have no restrictions in performing this program. However, as with any new dietary and/or supplement program, it is recommended that you consult with the appropriate healthcare professional to determine if you are eligible to safely perform this program. For purposes of the ClearVite detoxification program, you may contact our office to schedule a FREE consultation ($245 value) with Dr. Frank Fuscaldo, Jr., before starting the program. Cal 732-345-1377 or fill out the form on the right side of this page. Check out Dr. Frank’s blog on the different supplements that can help tame joint pain. Using the proper nutritional supplements (available at Monmouth Pain & Rehabilitation) are far safer and healthier than taking pain medications with harmful side effects.